Global analytics and intelligence systems specialist Kensho has entered into a strategic partnership with NBCUniversal News Group. As part of the arrangement, Kensho has formed a “multi-faceted content and product agreement” with financial news network, CNBC. The specific components of the partnership include the debut of Kensho Stats Box, a technology that will be made available to CNBC’s journalists and anchors. The Stats Box, launching November 20, will provide research and analytics insights geared toward actionable, market-moving events. In return, CNBC will give Kensho access to its breaking news and financial market coverage, which will be integrated into the Kensho Professional Platform for FIs. Kensho combines “massively-parallel” statistical computing with innovations in unstructured data engineering to provide financial professionals with a unique analytics platform for guiding investments. 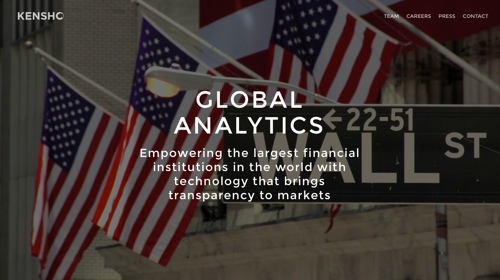 By providing real-time solutions to complex, natural language, financial questions posed to it, Kensho aims to bring both greater transparency and deeper insight to the relationships between geopolitics, the natural and business worlds, and the markets. 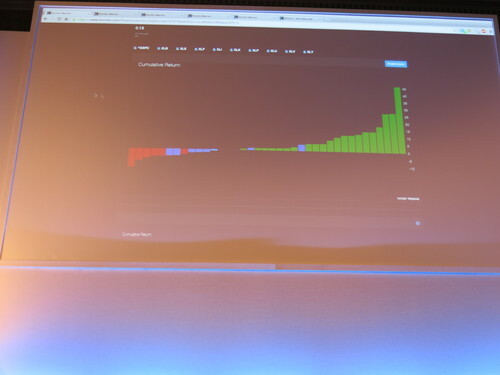 Founded in 2013 and based in Cambridge, Massachusetts, Kensho demoed an implementation of the technology called Warren at FinovateEurope 2014 in London. In January, Kensho raised $10 million in seed funding. Privatbank customers can now use MoneyGram to send and receive funds courtesy of new partnership. Financial Times Technology section looks at UK fintech startups TransferWise and Azimo. CurrencyTransfer recognized by Secret Tel Aviv as Olim Business of the Week. USA Today column on millennials and saving featured Tom White, CEO of iQuantifi. TransferWise helps lead fight for foreign exchange fee transparency. Pymnts interviews Jingit’s CEO Kate Bolseth. Swipely now managing $4+ billion in annual sales, doubles sales under management in 6 months, and provides businesses with insights on 20+ million customers. Numerous Finovate and FinDEVr alums make AWI’s list of top 50 fintech innovators. Advanced Merchant Payments brings in $5 Million in First Funding Round. Kony helps Farmatodo increase customer loyalty and deliver new services via mobile apps. Coinbase teams with Rewardspay to create workaround to make purchases on Facebook and iTunes with Bitcoin. TSYS offers merchants and partners an omni payments solution with more ways to accept payments. 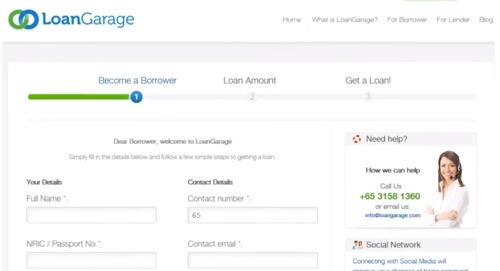 $493 million in P2P loans originated on Prosper in Q3 2014.
Credit Sesame wins 2014 U.S. Mobile and App Design Awards in Financial and Information Tools category. BancVue wins four MarCom Gold awards. Kensho launches strategic partnership with NBCUniversal. Want some context on the torrid pace of fintech financing in the first three months of 2014? 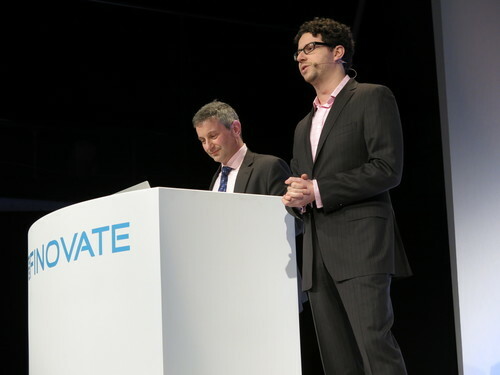 Consider this: a year ago, fourteen Finovate alums raised a total of more than $150 million in the first quarter of 2013. A year later, we have just nine alums raising more than twice as much in the month of March alone. 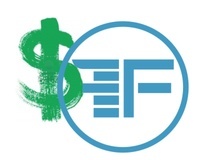 Q1 of 2014 saw 23 Finovate alums walk away with just under $600 million in capital. The biggest haul of the quarter came courtesy of Klarna, which raised more than $125 million. But there were plenty of similarly impressive fundraisings, including the $85 million raised by Credit Karma, and the $77 million and $75 million secured by OnDeck and Tradeshift, respectively. Actiance partners with Shoutlet to integrate Shoutlet’s social marketing capabilities with Actiance Socialite. PayPal’s Braintree to waive the first $50k of processing fees for startups building on its platform through its new Ignition program. On Deck raises $77 million in funding round led by Tiger Capital. Mechanics Bank’s Bradley Leimer takes a look at the lessons from BBVA’s acquisition of Simple. Recode reviews Loop. Check out its new payment tech at FinovateSpring next month. The Tally’s Financial News Fintech Focus column features Kensho. iQuantifi launches financial advice platform to general public. Billeo and Danal partner to create a mobile ID solution for Billeo’s XpressBuy checkout service to make it easier by autofilling forms with your relevant information. GMC Software Technology and Kony partner to develop next-gen document tech solutions for businesses. SecureKey Concierge Service tops one million-credential mark. American Banker takes a look at Jack Henry & Associates and its acquisition of Banno. FinovateEurope: Behind the Scenes with Arxan Technologies, Kensho, and Plutus Software. We hope you have been enjoying our “behind the scenes” look back at FinovateEurope 2014. In our first installment, we shared with you some insights from our conversations with AdviceGames, Nous, and Yseop. We followed that with a peek at how CRIF, Mobino, and SaaS Markets were helping bring fintech innovation to businesses and consumers alike. And just last week, we presented a behind the scenes look at NF Innova, Vaamo, and Best of Show winner, Tink. This week we bring you another handful of companies from FinovateEurope 2014. First up for today are three innovators from the fields of mobile app security, big data analytics, and lending to the underbanked in emerging markets. Arxan Technologies specializes in mobile app security, providing solutions that make it more difficult for fraudsters and criminals to tamper with apps. The company’s technology deploys small units of object code called “Guards” that work at the application layer to defend against a variety of attacks ranging from malware and data breach repackaging to fraud and IP theft. Having learned a little about Arxan Technologies via a conversation with CTO Kevin Morgan in January, I was looking forward to spending more time talking with the folks from Arxan Technologies at FinovateEurope. What was particularly interesting about my conversation with Vince Arneja, who is Vice President for Product Management for Arxan, and the rest of the team was how the company has begun to expand beyond the “app hardening” technology that has served as a key concept in their recently released report on the state of app security. Now, as Vince tells it, the company is moving beyond simply making apps tougher and is focusing on making them more sensitive, as well. “Apps need to be able to know more about the environment they are in,” Arneja explained. Arxan’s innovation involves “environmental guarding,” reflecting a trend toward providing more visibility for the app itself into the environment in which it is running. “Some folks call it a ‘health check’ or just providing visibility via the application,” Arneja said. 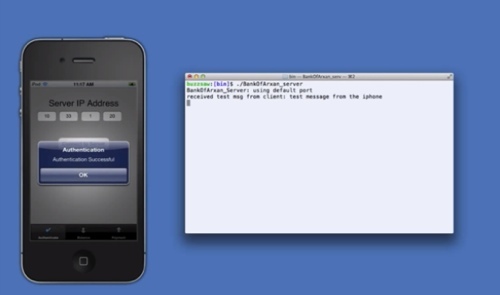 In addition to being able to detect jailbreaking, Arxan is developing technology that will help apps ferret out patching or “swizzling” attacks that are more iOS run-time sensitive. 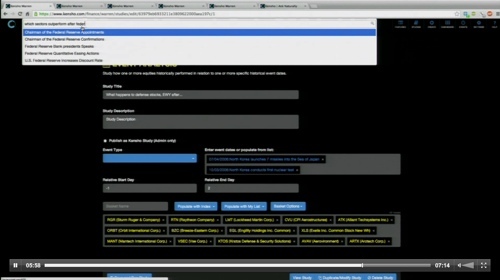 This is visibility that is embedded into the application. A smarter app is a good thing for the user and the enterprise. Banks that do not want jailbroken devices accessing their systems can have a tool embedded in their mobile app that helps them accomplish this level of protection. The prognosis for adoption of this technology? The bad news is that the company is not yet seeing the kind of adoption they would like to see among mid to low tier banks and financial institutions. The issues here are at least threefold: (a) cost is first, (b) a lack of technical ability or know-how is second, and (c) a failure to recognize that app security is an issue. How is that possible? The good news is that the team from Arxan Technologies is seeing “tremendous” adoption globally, in Japan and Korea, for example, particularly among Type A enterprises and large institutions. Arneja reported that about 42% of Arxan Technologies’ business is in EMEA (Europe, Middle East, Africa) and APAC (Asia- Pacific). Check out Arxan Technologies’ live demo from FinovateEurope here. Kensho is democratizing big data analytics for the capital markets, said Kensho Head of Strategy and Business Development, Adam Broun during a conversation at FinovateEurope in London in February. Most data providers were built years ago, he explained. And while they remain effective at providing data, they have not kept up with many of the computing advances that have been embraced by, first, the world of personal computing and, more recently, the growing market of consumer computing devices from smartphones to tablets. That said, Adam added, he wouldn’t mind a little bit of what Bloomberg has. “You go and visit a trading desk and you look at a trader and he’s got six screens going. All of them Bloomberg. I’d like two of them to be us at some point in time,” he said with a laugh. What’s next for Warren? Broadly speaking, Kensho is considering expanding beyond U.S. equities to include other popular markets such as fixed income, global commodities, futures, and FX. As for the technology itself, Kensho anticipates that Warren will be able to respond intelligently to more than 100 million financial queries by the end of 2014 (Warren can handle about 1 million questions as of February). At this time, the idea of expanding to broader audiences is not front of mind. Future versions with modified functionality may effectively serve a less professionally-oriented clientele of retail traders and investors. 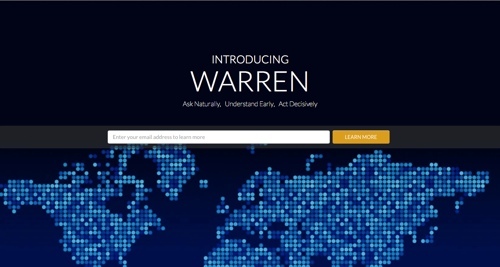 But for now, Warren is a product – or rather a tool set – for professionals. Kredit Aja is the name of the online and mobile marketplace developed by Plutus Software and deployed in the Indonesia market that helps traditionally underbanked borrowers connect with potential lenders. It’s one thing to be a growing company in a growing market. It’s quite another to be a growing company in a growing market in a part of the world that itself is synonymous with growth. That’s the environment Plutus Software operates in. Focused in Singapore, but moving aggressively into the Indonesia market with Kredit Aja, the company’s innovation lies in understanding how to make credit decisions in markets where traditional markets like credit scores are not available or not especially accurate. The core proposition for Kredit Aja is that credit has been difficult to get in regions like South Asia. There are at least two factors behind this. One is the relative lack of interest on the part of many of the big brands in what are still emerging economies. A second factor is cultural. In many countries in South Asia, the idea of asking for a loan has had historically negative connotations. atures like credit scoring, document verification – precisely the kind of functionality that is now helping attract banks to the company’s platform. As a first mover in a market in which only 20% of the population have a bank account, what makes Kredit Aja unique is as much its technology as it is their innovative attitude toward credit scoring. “Traditionally banks look at past transactions,” the team from Plutus Software explained. “We look at social behavior, as well” and included everything from Facebook and Twitter activity to mobile recharge behavior. Looking out over the balance of 2014, Plutus Software plans to improve its current portfolio of products, adding credit cards and other financial instruments (“more verticals”). Accomplishing this, in large part will mean building the Kredit Aja brand in Indonesia or “putting more boots on the ground” as the company puts it. Another interesting challenge is that idea of branding. Growing interest in Plutus Software’s Loan Garage and Kredit Aja platforms has caused “top tier banks” to begin inquiring about white label opportunities. And this high quality problem is something that the multi-monikered company hasn’t entirely figured out how to deal with. “The main thing is that every conversation we have externally leads to another opportunity or another route,” said company CTO, Jagannathan Janagyraman. Update: A previous version of this article incorrectly described the current funding status for Plutus Software. “Warren is a user friendly, interactive research environment that enables portfolio managers and researchers to quickly and easily perform sophisticated quantitative analyses in a fraction of the time spent by institutional research teams today. Kensho raises $10 million in seed funding ahead of Finovate debut. ACI Worldwide partners with Integrated Research to launch Prognosis 10 for Payments. TSYS CEO assures his company has no exposure from Target data breach. Fiserv announces availability of its Vantage Risk and Budgeting Manager application as a hosted SaaS option. Prosper selects First Associates to provide backup loan servicing for its P2P lending platform. Feedzai brings its fraud prevention solutions to United States. Come see Feedzai’s live demo at FinovateEurope February 11-12. If you were a promising young start-up making a list of things to pack ahead of your first trip to FinovateEurope, how high up on the list would $10 million in seed funding be? That’s the kind of high quality problem intelligent systems specialist Kensho gets to grapple with over the next few weeks. The company’s innovations in real-time, split-second investment analysis have attracted the likes of Accel Partners, Devonshire Investors, General Catalyst, Google Ventures, and NEA – all of whom participated in the seed round. But the kicker may be the delivery system Kensho has developed for all this split-second analysis: an intelligent virtual research assistant able to understand natural language commands and respond to complex queries. “Kensho is dedicated to the idea that communicating in natural language with intelligent computer systems which serve as virtual personal assistants will form the leading edge of global innovation over the next half-decade,” Kensho CEO Daniel Nadler said. He added that the funding would help Kensho bring on “the best and most experienced” engineering talent. Kensho was founded in 2013, and is headquartered in Cambridge, Massachusetts. To learn more about how to see Kensho at FinovateEurope in February, click here.